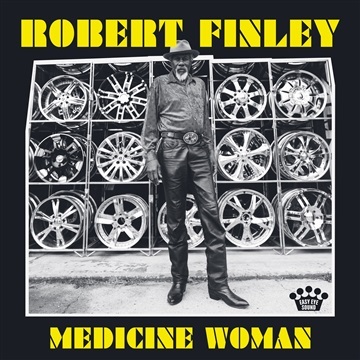 When you’ve been making music for as long as Robert Finley has, you know that the key to success is in your instincts. You learn to trust your gut, you learn to trust your ear, and most of all, you learn to trust your company. Fortunately for us, here in 2017 Mr. Finley has all three in spades. The singer lives in the tiny, forgotten town of Bernice, Louisiana, right near the Arkansas line, but in his younger days his music took him all over the world. Joining the Army as a teenager, Finley was sent to Europe as a helicopter technician but found more appealing work as the leader of the Army band, and toured the continent many times over on guitar and vocals. Following his rambling military service, he learned the trade of carpentry and settled back home in the States. He leaned on his gospel and blues songs for a hobby rather than career, and mostly confined his artistry to the streets of the South. But now, in the true spirit of the American Dream, Finley’s music is once again primed to reach doors and shores at home and abroad, as his new LP Goin’ Platinum! is set to be released through Dan Auerbach’s Easy Eye Sound this fall. It’s that kind of team-player attitude that has helped rejuvenate his career. A few years back, Finley was playing some R & B songs to a street crowd in Arkansas when he met a member of the Music Maker Foundation, an organization that provides direct support to older and underprivileged musicians. One thing led to another, and before you know it, Finley had written, recorded, and released an LP, Age Don’t Mean a Thing, on Big Legal Mess Records in the fall of 2016. Yet another win-win would present itself when Auerbach, The Black Keys frontman and new Nashville-based record label owner, was sent a video of the musician playing songs on the street. Recognizing the singer’s immense and innate talent, he invited Finley to sing with him on the score for a friend’s graphic novel—a dark, bluesy project released in May called Murder Ballads. But it wasn’t until the pair got into the studio together that Auerbach fully understood the exceptional power of Finley’s voice—and where that might take them. And so, Auerbach gathered to his studio in Tennessee a Murderer’s Row of all-time-great session musicians to record an album of songs he had written with the likes of John Prine, Nick Lowe, Pat McLaughlin, and others, with Finley as their vocal anchor. From drummer Gene Chrisman (Elvis Presley, Aretha Franklin, Dusty Springfield) to keys player Bobby Woods (JJ Cale, Bobby Womack) to horns by Preservation Hall and guitar by the legendary Duane Eddy himself, the assemblage was nothing short of towering—and, for Auerbach, the focus on Finley provided the icing on the cake. And now we have Goin’ Platinum!, the newest effort from the soon-to-be legendary soul singer Robert Finley and his crack band of geniuses. From the lovelorn bombast of “If You Forget My Love” to the soul-stirring “Medicine Woman,” and the home-on-the-road ripper “Empty Arms” to the yearning “Honey Let Me Stay the Night,” all capped by the epic closer “Holy Wine,” featuring Finley’s ethereal falsetto, Finley’s performance left Auerbach speechless—as it will anyone who lays ears to it. For Finley, all praise is due to the practice itself, and to the instincts, ear, and company of which he is proud to be part. And from this point on, his focus now shifts to his performance and his bringing it to the people, which he is finally—magically—able to do again on a global scale.